Kevin J. Anderson is the author of more than 120 books, 52 of which have appeared on national or international bestseller lists; he has over 23 million copies in print in thirty languages. He has won or been nominated for the Nebula Award, Bram Stoker Award, The Faust Award, the SFX Reader's Choice Award, the Scribe Award, and New York Times Notable Book.Kevin has co-authored thirteen books in the Dune saga, including Mentats of Dune and Sisterhood of Dune, with Brian Herbert, in addition to the Hellhole Trilogy. 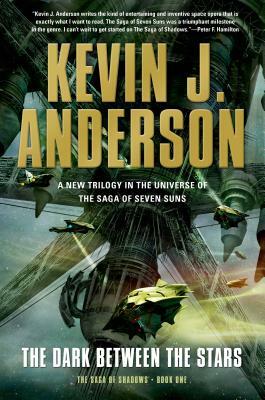 Kevin's epic science fiction series, The Saga of Seven Suns, is a 7-volume opus that topped international bestseller lists.